References: Rocks & Min. : 8:143-144.; Arthur A. Pegau (1932) Pegmatite Deposits of Virginia. Virginia Geological Survey; Bulletin 33.; Richards, R. P., Kearns, L. E., & Cook, W. R. (1998). Morphology of Chiolite twins from the Morefield mine, Amelia County, Virginia. Canadian mineralogist, 36, 1009-1016. 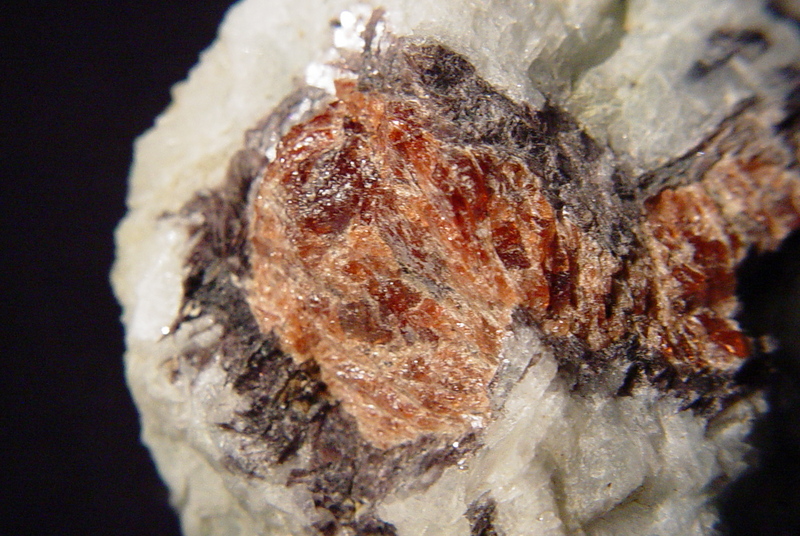 Masutomilite ⓘ4 photos of Spessartine associated with Masutomilite at this locality. Cleavelandite ⓘ2 photos of Spessartine associated with Cleavelandite at this locality. Smoky Quartz ⓘ2 photos of Spessartine associated with Smoky Quartz at this locality. 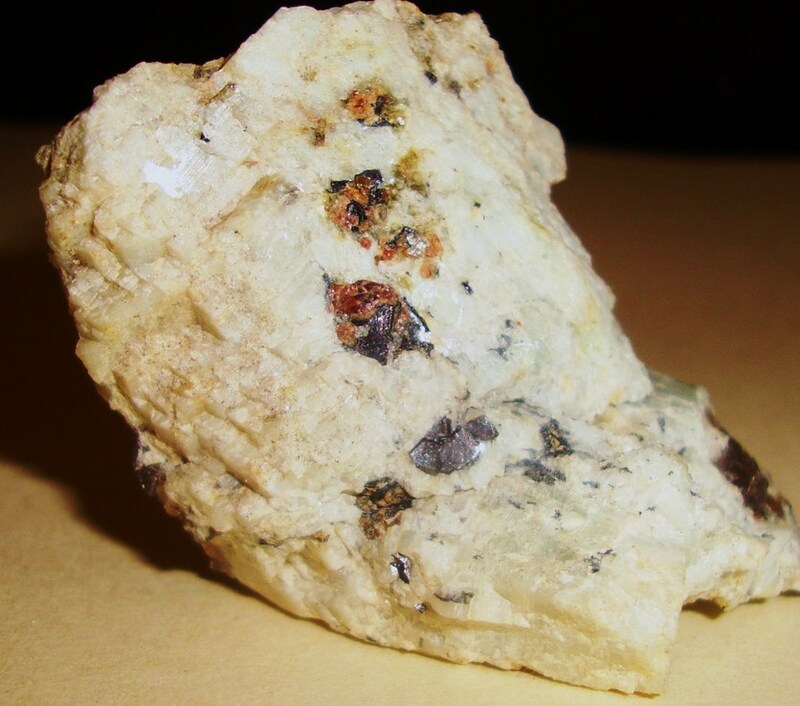 Columbite-(Fe) ⓘ1 photo of Spessartine associated with Columbite-(Fe) at this locality. Zinnwaldite ⓘ1 photo of Spessartine associated with Zinnwaldite at this locality. Apatite ⓘ1 photo of Spessartine associated with Apatite at this locality. Pyromorphite ⓘ1 photo of Spessartine associated with Pyromorphite at this locality. Prosopite ⓘ1 photo of Spessartine associated with Prosopite at this locality. Gearksutite ⓘ1 photo of Spessartine associated with Gearksutite at this locality.